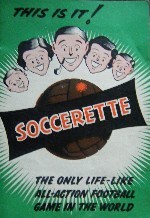 No, unfortunately not the wannabe wag parading her plastic breasts around the Soccer AM studio, but a football game from the 1950's played using magnetic poles on a large wooden pitch. 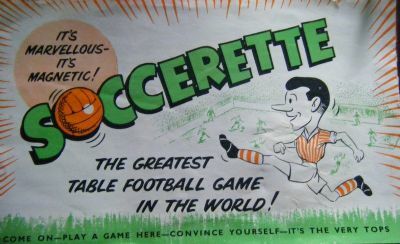 The game contains possibly the campest footballing pose ever created. 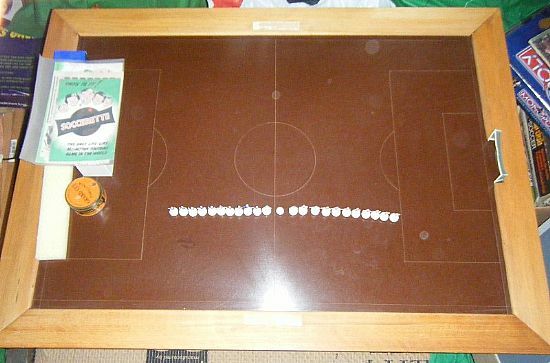 The game was available in 2,3,5 and 11 a side versions. 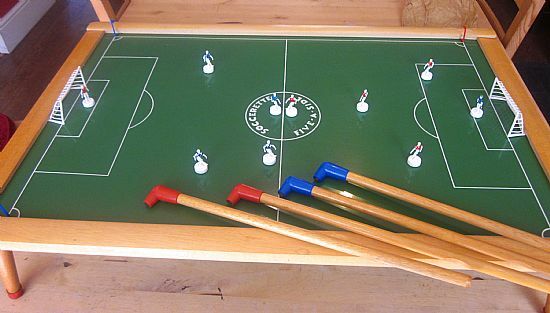 A long running game that was produced in many different sizes and types of sets. 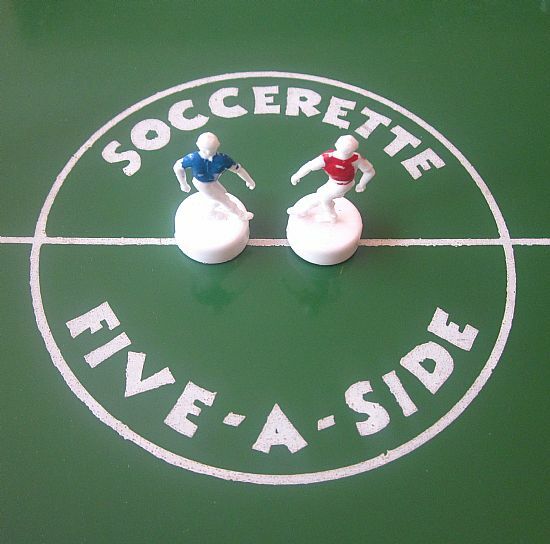 The pictures show various versions of this game. Oh dear! 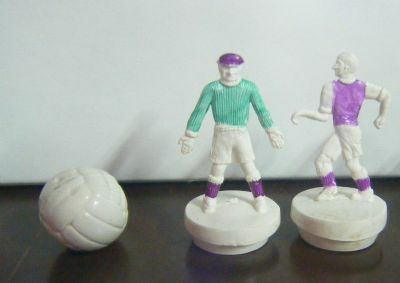 I really cannot see how anyone could possibly design and approve a player figure looking like the one on the right! 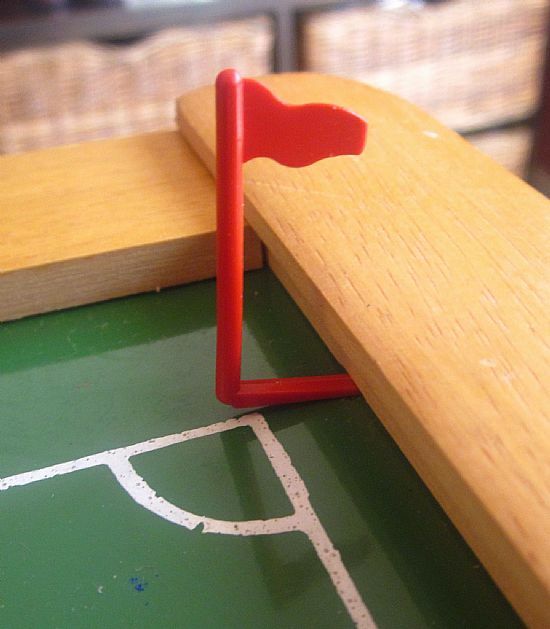 The goals are extremely well made with real net and clip into the space in the wooden pitch surround. A whole team prepare for the latest edition of 'mince for Britain'. 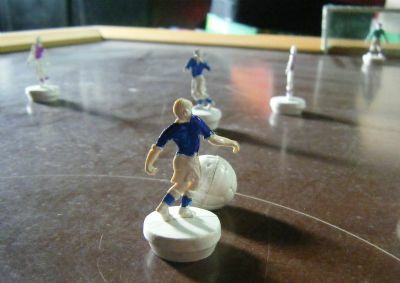 The figures are controlled using rods held under the pitch with magnets on the end. Slightly prone to overclaim I believe. 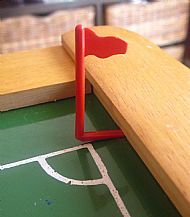 Some sets came complete with corner flags. Very rare to find them now. 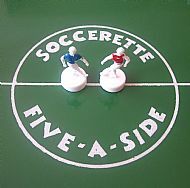 Pitches were made in different colours and sizes. The brown pitches are the most striking.